Former England player, Emile Heskey could make a belated return to football - with Blue Square Premier side Macclesfield. The former England international has been without a club since leaving Aston Villa at the end of last season. And ambitious table-topping Macclesfield, who are determined to return to the Football League at the first attempt will offer Heskey a deal to put him in the shop window. 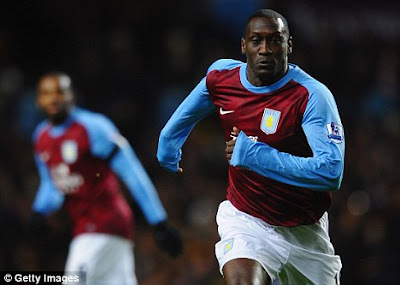 Heskey is reported to have other options, both at home and abroad, but has struggled to find his form in recent seasons, mustering just 14 goals in 110 appearances at Villa. He was unable to agree a deal with Blackpool earlier in the summer while Ipswich and Stoke were also reported to be interested.